In a time when many aim to limit the use of criminal background checks and expand employment opportunities for those with a checkered past, a tragic event like that which took place in the Washington Navy Yard makes us stop to wonder if knowing less about those we hire is acceptable. The Navy Yard case and other horrific cases like it had the immediate and predictable rush to judgment. The background screening process is subjected to scrutiny, which makes perfect sense; we all want to know if there was something that could have prevented this tragedy. Regardless who is at fault, once the dust settles, we believe what will be left are the deep realities of managing workplace safety. Employers of all types—private and public—have a duty of care to uphold when it comes to maintaining a safe workplace. 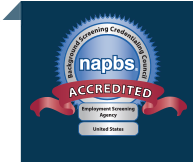 It takes a holistic program to achieve this goal and one key component of a safety program is a comprehensive background screening program by which an employee’s suitability to be part of the workforce is routinely evaluated. The other side of the coin is where the right to safety of the many outweighs the case being made in many of today’s “ban the box” and equal employment opportunity discussions. While our regulatory agencies have been concerned lately with fairness and the individual with a criminal past who can’t get a job—both valid concerns—the safety side of the coin rears its head with a grim reminder time and time again.